Compliments to the Bride and Groom! To date this may be the most important day of your life and also the most stressful too many as well. Planning a wedding can be time consuming and very stressful. There are so many things to consider from food, to clothes, to locations. Well, we are here to take transportation off your list. We take pride in helping you make this a memorable day that you will cherish for years to come. So we take care of the transportation once we know the particulars of your event, like the date, the location and time you need us. Then we go to action and make sure this day is flawless from the transportation side. Far too often we hear horror stories of limo companies coming late to pick people up for events and having terrible customer service. Well we have built our relationship on having great customer service and always getting to you on time so we can get you to your event on time. It never makes since to destroy a relationship with a potential long term business relationship. We have always felt if you give you an A+ experience you will come back to us for future services. So we treat every customer like a Hollywood movie star, because everyone deserves to be treated like a VIP on their special day and there are few days more special than this. After the ceremony we can take you to any destination you like and even take you to the airport for your honeymoon and some deserved time off. This is a very special day for the both of you and you deserve to be treated like a King and Queen, so don't trust your transportation needs to just any limo company, give us a call and let us make this day the best wedding event of the year. Not only are we prepared to take care of the bride and groom but also the wedding party and family of the bride and groom. We have enough vehicles in our fleet to accommodate any size wedding party, so give us a call for more information on the size of your party and how many vehicles you need. 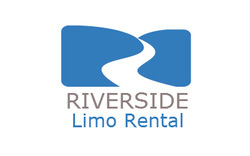 Riverside Limo Rental is the limousine company for you since we will take the stress off the bride and groom and allow you to focus on other aspects of this very special day. We go the extra mile to make sure your experience is first class, because we want you to consider us for all your future events. When you have your first child, we have a service for that; when you celebrate your wedding anniversary, we have a service for that; when you celebrate retirement, we also have a service for that. 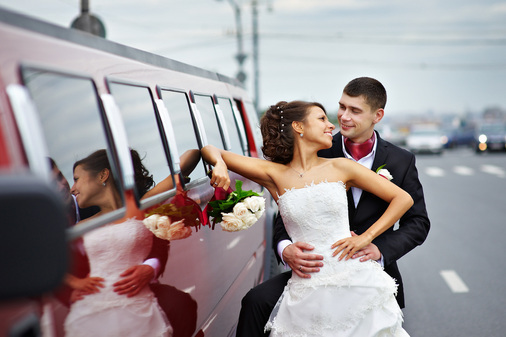 We are able to provide transportation services for any life big event and we want to be your go-to limousine company that you rely on to get you from point A to point B on time, in budget and safely. Your wedding day is just the beginning of your life together and we also hope this is just the beginning of our business relationship. Our staff is standing by to take your call or you can fill out the form to the right and we will get back to you quickly.